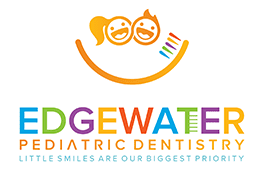 As part of the top-rated team of pediatric dentists at Edgewater Pediatric Dentistry, Rachel Edelman, DMD, provides a wide range of dental and oral health services for children of all ages living in Edgewater, New Jersey, and the surrounding communities. Dr. Edelman is committed to providing the kind of gentle, compassionate care that puts her young patients at ease. She believes that kids who are motivated about dental care are more likely to maintain optimal oral health for life, and strives to provide a fun, relaxed, informative, and positive experience for every patient who sits in her chair. After receiving her undergraduate degree in psychology at Lehigh University in Bethlehem, Pennsylvania, Dr. Edelman earned her dental degree from Rutgers School of Dental Medicine in Newark, New Jersey. She went on to complete a two-year residency in pediatric dentistry at St. Christopher’s Hospital for Children in Philadelphia, where she received special training in pediatric sedation dentistry, including nitrous oxide analgesia, in-office oral sedation, and general anesthesia. Dr. Edelman is an active member of both the American Academy of Pediatric Dentistry and American Dental Association. When she’s not busy improving her patients’ smiles, she enjoys spending time with family and friends in New York City, where she and her fiancé reside.